One of the best things about cosmetic dentistry at Crabtree Dental in Katy is interacting with our patients. During initial consultations, patients describe their short and long term dental goals, and we listen carefully. Some patients are looking for a total smile makeover. 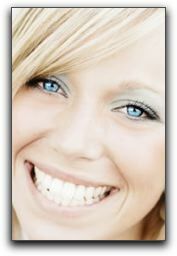 Available treatments include teeth whitening, porcelain veneers, and dental bonding. Some patients wonder if their smiles are even transformable. Nine times out of ten, the answer is yes. If a patient is nervous about undergoing treatment, we discuss their sedation options. Dental visits do not have to be painful! When the treatment has been completed, it is very gratifying to see a patient’s reaction to their new smile. We never get tired of seeing that! If you have been considering a smile makeover, let’s talk about your smile. We also practice general and family dentistry, with an emphasis on preventive care. Call us today.